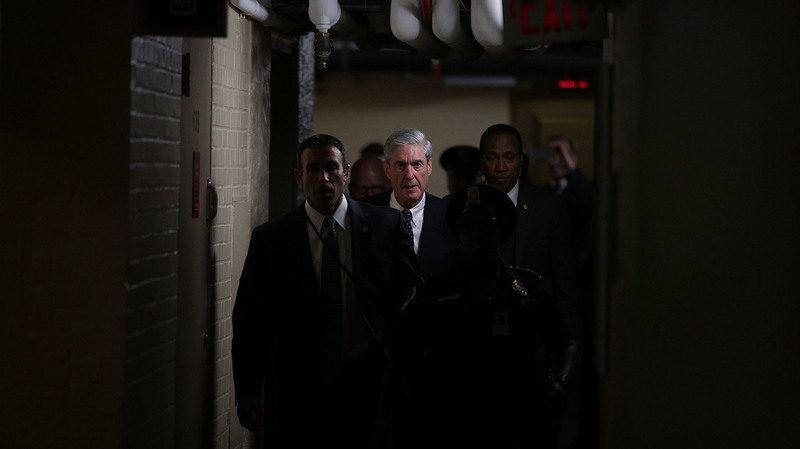 The Russia Investigations: On The Hunt For Duffel Bags Full Of Cash Investigators for Justice Department special counsel Robert Mueller head out to greet arriving Russian oligarchs while others are now under sanctions. And Mr. Zuckerberg comes to #ThisTown. Investigators with special counsel Robert Mueller's office have interdicted at least two wealthy Russians on their way into the United States, according to CNN. This week in the Russia investigations: Mueller sends the feds to meet some international arrivals; new sanctions on some powerful, wealthy Russians; and Mr. Zuckerberg goes to Washington. A gleaming new Gulfstream G650 — or maybe it's a Sukhoi business jet — sweeps in for a landing at Teterboro Airport, the suburban New Jersey gateway to nearby Manhattan for elite fliers. Justice Department special counsel Robert Mueller. That, at least, was the scene painted in an exclusive report by CNN's Kara Scannell and Shimon Prokupecz. Mueller himself might not be standing on the tarmac, but FBI investigators from his office have interdicted at least two wealthy Russians recently on their way into the United States, they report. The special counsel's office is apparently trying to establish whether powerful Russians who owe fealty to President Vladimir Putin — the oft-referenced "oligarchs" — may have funneled cash donations to President Trump's campaign or his inauguration fund. "He is alleged to have brought hundreds of millions of euros into France — transporting as much as 20 million euros at a time in suitcases, in addition to conducting more conventional funds transfers — without reporting the money to French tax authorities." That pattern of conduct, and the nature of the interdictions described by Scannell and Prokupecz, raise questions about how long this smuggling of cash might have gone on. The CNN story suggests investigators want to know whether the money might have gone into Trump's inauguration accounts — and whether it continues to this day. Either way, their story suggests that one way Russia might have injected money into the American political system for the 2016 election and beyond was not via traceable and accountable electronic transfers, but through the old-fashioned delivery of cold hard cash. Flying around stacks of cash is a time-honored way to get money into circulation in a distant place with no one in between learning about it — most of the time. If Russian officials were shipping cash to the United States in 2016 for deposit in American bank accounts, which were then the apparently legitimate points of origination for payments to political campaigns or political action committees, that money could have been a powerful and deniable source of influence. Investigators are believed to be looking into whether foreign cash got into the coffers of American political organizations, and if this is how, the implications are huge. Foreign contributions to U.S. elections are illegal. And people entering the United States must notify Customs and Border Protection if they're bringing in currency or "monetary instruments" worth more than $10,000 — or it can be seized and those carrying it potentially could face civil or criminal penalties. So much for all the Miami Vice drama — who are these latest Russians? What put the feds onto them? Where did the money they might have transported into the United States wind up? As usual, the news accounts fall short of the complete story and only Mueller and his team know for sure. 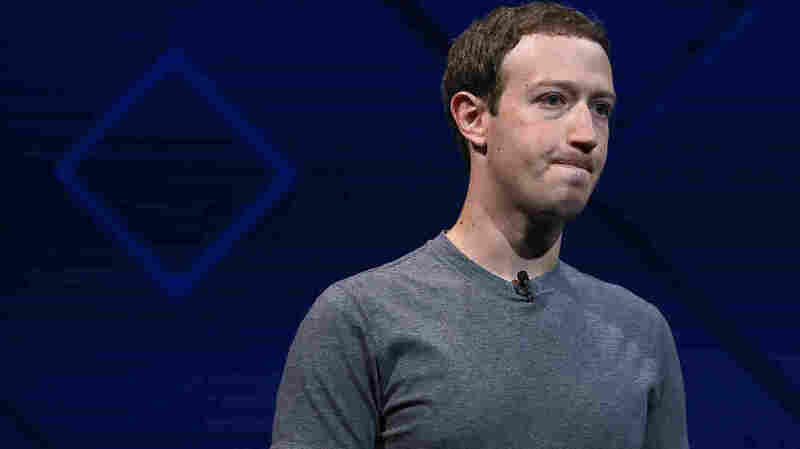 Facebook CEO Mark Zuckerberg is going through a rough patch. He built one of the world's most lucrative and powerful tech juggernauts by accumulating and exploiting its users' personal data — and now is being pilloried for accumulating and exploiting users' personal data. Facebook CEO Mark Zuckerberg is going to be answering questions before congressional committee for hours on Tuesday and Wednesday. Facebook (and Big Tech more broadly) used to be "the hot girl," as business guru Scott Galloway called them. They were too appealing and too intimidating for public officials to treat seriously because of how much they wanted to be in those companies' good graces. Now, however, months of "techlash" have meant that members of Congress are pushing one another out of the way to be the first to take Zuckerberg down a peg — starting with a Senate hearing on Tuesday afternoon and then on Wednesday morning in the House. So Zuckerberg and Facebook have been working overtime to dump as much news overboard before he goes under the klieg lights. He told reporters in a news conference, for example, that data from more users than previously realized had probably been swept up by Cambridge Analytica, the political shop associated with the Trump campaign. And Zuckerberg also discussed a separate "dark web" scam in which hackers used Facebook's search to compile profiles of users based on data they had already gotten elsewhere. Do Senate Judiciary Committee Chairman Chuck Grassley, R-Iowa, and ranking member Dianne Feinstein, D-Calif., have any more cards to play? Or having gone ugly early — as public relations pros like to say — will Zuckerberg be in a position to simply play rope-a-dope and respond to his inquisitors with something like "We've discussed this already and we know we must do better, Senator." It's worth remaining skeptical about some of the hype involving whether this episode could cost Zuckerberg his job — he retains a great deal of control over Facebook. All the same, listeners will have their ears peeled for some kind of new details that bear on the Russia imbroglio. The Cambridge Analytica data-vacuuming narrative has embarrassed Facebook, but so far, there has been no clear connection between it and Facebook's use by Russian influencemongers in Moscow's attack on the 2016 election. That was the subject of its own three-hearing megamarathon last year. Maybe there is no connection between the active measures and the current concerns about data and privacy on Facebook. It has been speculated about but not verified. Facebook says it's looking forward by banning accounts used by the Internet Research Agency — the "troll factory" indicted by Mueller and sanctioned by the United States — as part of what it calls its dedication to preventing a repeat of the Russian 2016 active measures campaign. But Zuckerberg is going to be answering questions in public for hours and hours on Tuesday and Wednesday, so until that happens there is no way to know what he or the committee members might say.